Don’t miss our annual garden-themed gallery show featuring the works of eight accomplished regional artists. The show’s theme is any subject matter that comes from the garden composed into a still life; the media will be oil, pastel and watercolor. This rich offering is diverse in style: traditional, whimsical, and surreal. 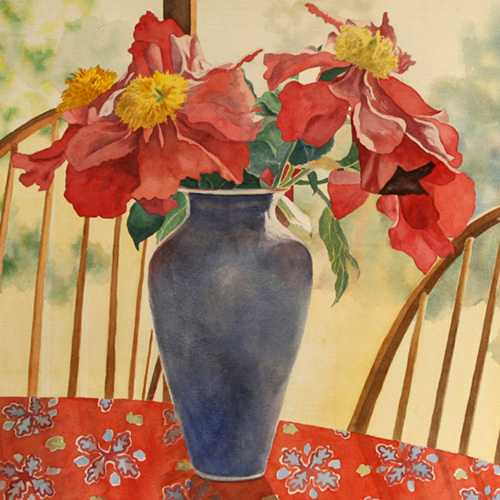 The artists to be exhibited live in Columbia, Berkshire and Litchfield counties: Susie Crofut, Ann Getsinger, Patricia Gravette, Katarina Holbrook, Karen Hummel, Nina Lipkowitz, Alain Picard, and Peter Seltzer.